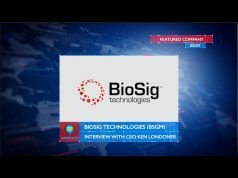 In this episode of the CEOLIVE Investor Profile series, we’re joined by Ken Londoner, Chairman, and CEO of BioSig Technologies, ticker BSGM. 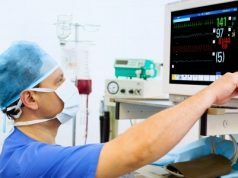 The non-invasive PURE EP System is a computerized system intended for acquiring, digitizing, amplifying, filtering, measuring and calculating, displaying, recording and storing of electrocardiographic and intracardiac signals for patients undergoing electrophysiology (EP) procedures in an EP laboratory. The system is indicated for use under the supervision of licensed healthcare practitioners who are responsible for interpreting the data. The PURE EP System aims to minimize noise and artifacts and acquire high-fidelity cardiac signals. Improving cardiac signals may potentially increase the diagnostic value of these signals, thereby possibly improving the accuracy and efficiency of the EP studies and related procedures. Ken also weighs in on the ongoing options of many analysts that the company is incredibly undervalued based on the expected growth in the EP market over the next decade. Many believe that BioSig’s superior technology platform is a credible threat in and industry segment dominated by some of the world’s largest players. BioSig Technologies is a medical device company that is developing a proprietary technology platform designed to improve the $4 billion EP marketplace (1) (www.biosigtech.com). Led by a proven management team and a veteran, independent Board of Directors, Minneapolis-based BioSig Technologies is preparing to commercialize its PURE EP™ System. The PURE EP System is a surface electrocardiogram and intracardiac multichannel signal acquisition and analysis system engineered to assist electrophysiologists in making clinical decisions in real-time by acquiring and displaying high-fidelity cardiac signal recordings and providing clarity of data which may be used to guide the electrophysiologists in identifying ablation targets – areas of tissue to treat that otherwise create a heart rhythm disturbance (arrhythmia).